PEC engineers constantly look for ways to incorporate resiliency into the building envelopes and structures that our architect clients design. Sometimes those designs have unique and forward-looking aesthetic and functional aspects, requiring that we provide support with equally forward-looking materials and mechanics. This means that we here at PEC are ever on the lookout for ways to adapt our well-grounded understanding of mechanics to new materials…or to develop new philosophies of mechanics for as-of-yet undefined classes of materials. One relatively new construction material (the not-so-living material) that we have noticed and are prepared to use in the context of design for resilience is cross-laminated timber (CLT) construction. Cross-laminated timber was introduced in Austria and Germany in the early 1990’s and has been gaining popularity in residential and non-residential applications in Europe. CLT is expected to enhance the re-introduction of wood based systems in North America in applications such as 5-10 story buildings where heavy timber systems were used here a century or more ago. 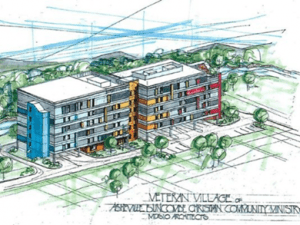 Several manufacturers have started to produce CLT in North America, and have supported recent projects such as a 6-story homeless veteran apartment complex being constructed in Ashville, NC (http://www.citizen-times.com/story/news/local/2016/07/02/architect-continents-largest-clt-structure-built-asheville/86616630/). To us, the advantages of CLT are obvious. 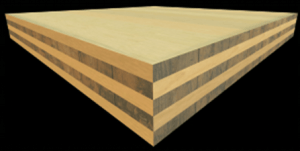 In addition to wood being a truly sustainable material through planting and harvesting of lumber here in the US, CLT can be manufactured from damaged and “waste” wood. It is relatively dense, relatively easy to connect, and can be used in several structural forms including platform framed and framed shear wall construction. It provides sufficient ductility for impact and blast resistant construction, and can be used efficiently in designs meant to mitigate disproportionate collapse. A complete description of CLT and the design approaches available are presented in the “CLT Handbook”, FPinnovations and the Binational Softwood Lumber Council, 2013, available at www.rethinkwood.com. Contact Aldo McKay, P.E. at PEC with your needs or to continue the discussion. Now about exercising the strength of the living. 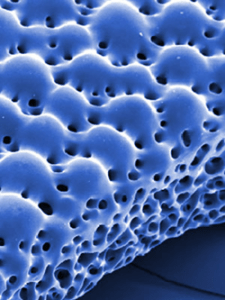 An emerging field requiring the development of new philosophies of mechanics to support emerging materials is a new twist on endeavors in bio-emulation; so-called “Engineered Living Materials” (ELM). In this exciting field, engineers use “artist’s license” to copy biological forms…but not just static forms…living forms that can serve as adaptable and self-healing structures in materials science and someday in construction. DARPA (the Defense Advanced Research Projects Agency), the folks that brought you ballistic missile defense systems and the now ubiquitous GPS systems that we all carry around in our smart phones, has initiated efforts to “develop design tools and methods that enable the engineering of structural features into cellular systems that function as living materials, thereby opening up a new design space for construction technology.” (DARPA-BAA-16-50, August 2016). Unlike CLT, where PEC engineers have tools for the immediate application of a new sustainable material in designs for resilience, application of ELM is decades away from use, but requires the science and simulation expertise of folks like Matt Barsotti, Eric Sammarco, Ph.D., P.E., Michalis Hadjioannou, Ph.D., and David Stevens, Ph.D., P.E., at PEC…engineers with a keen interest in the philosophy of materials and mechanics, and who have a passion for application of the science of materials to resilient and protective designs. Contact us at www.protection-consultants.com for more information or to keep the discussion going.